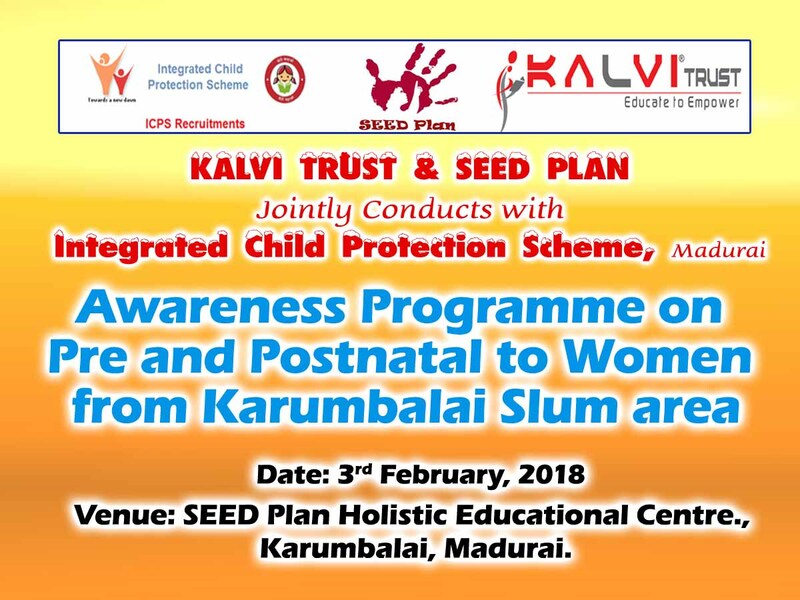 KALVI TRUST & SEED PLAN Jointly Conducts with Integrated Child Protection Scheme, Madurai - Awareness Programme on Pre and Postnatal to Women from Karumbalai Slum area. We are expecting over 50 marginalized women from slum with their children. District Child Protection Officer Ms.Siva Sankarai will be the Chief Guest of the Program. We are providing Lunch and Refreshments to all the participants.